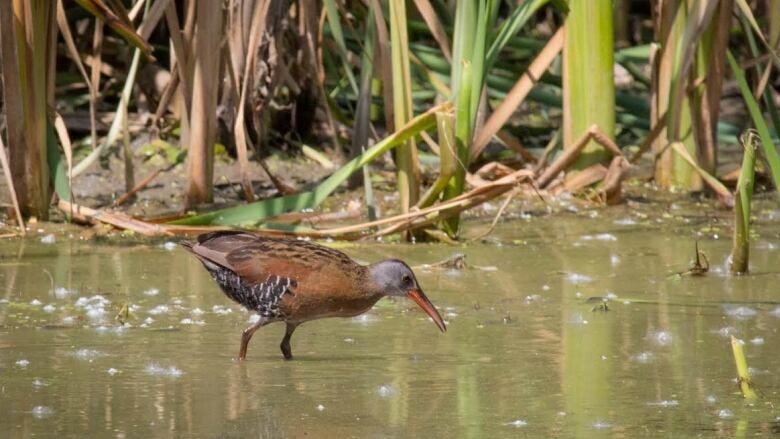 Environmentalists are frustrated that the law protecting at-risk species is being ignored as development moves forward in the St-Laurent borough’s Technoparc Montreal expansion, despite the presence of Least Bittern. Environmentalists are frustrated that the law protecting at-risk species is being ignored as development moves forward in the St-Laurent borough's Technoparc Montreal expansion, despite the presence of Least Bittern. Lisa Mintz has been working to save the small breed of heron and says the bird-watching community has spotted two pairs of Least Bittern, and their chicks, in the area near the Technoparc. She said they were spotted across the street from the construction, but that still means the area being built on is within the 500-metre protected zone the bird is entitled to, according to the 2002 Species at Risk Act. "We shouldn't need the federal government to step in to get [the city and developers] to respect the law," Mintz said. But the group is doing just that with calls to Environment Minister Catherine McKenna to save the Least Bittern. The group working to protect the Least Bitter gathered for a news conference at the site Wednesday and include members of the Green Party, the Green Coalition, the environmental group Sauvons la falaise and the group's mascot, a raven in a judge's cloak. (Courtesy Lisa Mintz)A letter was sent to McKenna from The Sierra Club of Quebec, Green Party leader Elizabeth May and the Green Coalition. "We are working hard to get reaction from Katherine McKenna as quickly as possible," Mintz said of the group working to protect the bird. 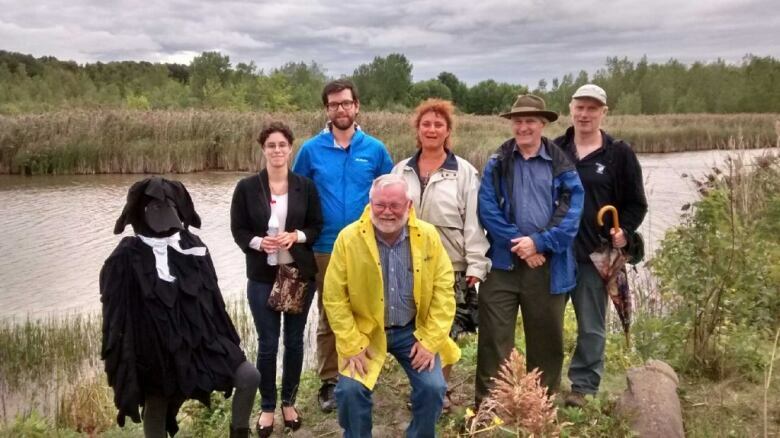 They hope McKenna will do for the Least Bittern what she did to save the Western Chorus Frog from developers on Montreal's South Shore. The Technoparc Montreal has been designed to attract "clean tech" companies, according to its spokesman Carl Baillargeon. The developers even set aside land that won't be touched so it can serve as an eco-zone. Baillargeon told CBC Montreal's Daybreak that since the bird is not on the Technoparc's land they can continue with construction. "It's been nesting west of the eco-campus. We are fully aware of its presence. It is nesting in that land that is not the eco-campus," Baillargeon said. The Technoparc hired a company that specializes in protecting bird habitats to offer input during construction. He added that they are always making sure regulations are respected.